Any will you make should be reviewed if your circumstances change, or if they change in the lives of those provided for in your will. While you can make a new will or add an amendment to your will as many times as you like while of sound mind, you can also revoke, or even destroy, your will at any time (while of sound mind) before you die. It would be wise to re-examine your will every 5 to 10 years. You could be surprised how your circumstances, your thinking and the circumstances of others might have changed over the years. When making or changing your will it is important to repeatedly ask the question “what if?” You need to try to consider all possible subsequent and significant eventualities which may occur lest you later lose the mental capacity to make or change your will. Therefore, a well-drafted will takes into account that people may die before you, that more children and grand-children may be born and that, when you do die, you may not own what you own now. Your will should appoint trustworthy executors. These are those persons responsible for administering your estate after your death. You should make a first choice of persons to be your executors, a second choice and, in our view, even a third choice. This is important because any executor or executors appointed by you may not be living when you die, may be incapacitated or may simply refuse to act as your executor/s. Although you cannot force someone to become your executor, you need to choose willing people whom you trust, who are sensible and who would wisely seek legal advice about administering your estate. 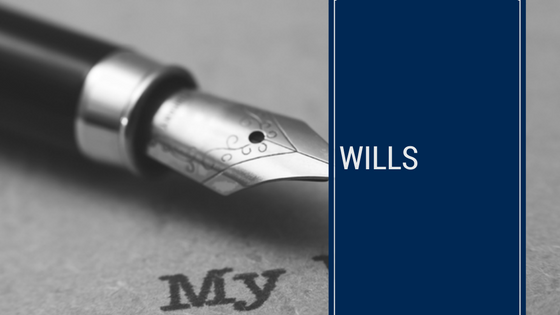 Wills should be clear, precise and easily understood. Should a will be unclear or confusing, it must be taken to court for interpretation by judge. This is a costly and time-consuming process. It is often home made wills that are unclear, confusing or don’t cover everything they need to which require intervention by the court. It is much easier to seek advice when drafting a will to ensure you have covered everything you need to consider.